Spring assisted knife for sale at cheap knife price. 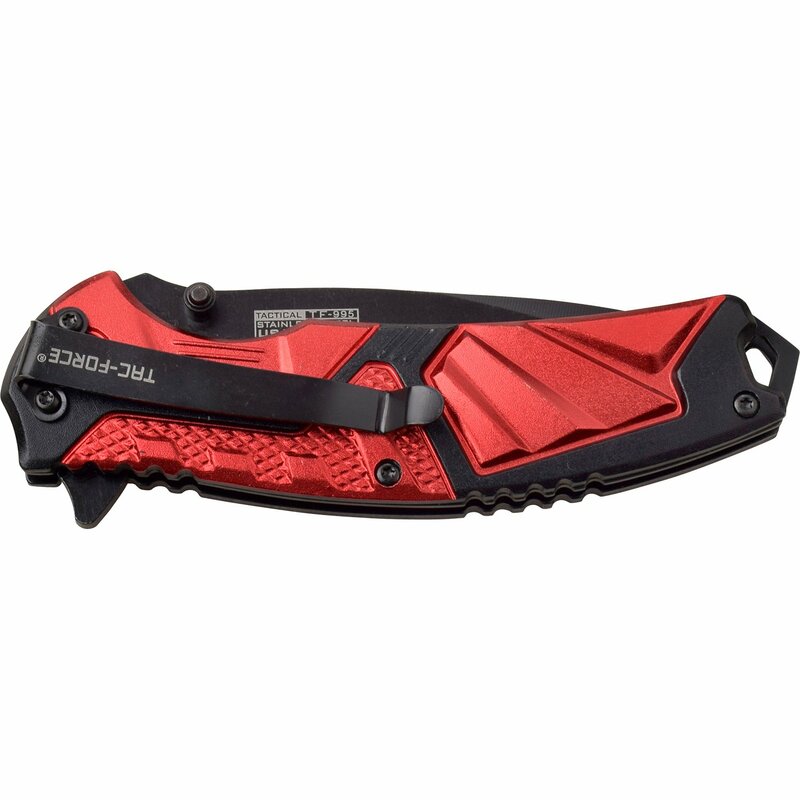 Spring assisted knife for sale at cheap knife price. Buy best knives from Knifeimport.com. 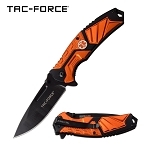 Knives for sale are wholesale prices only. 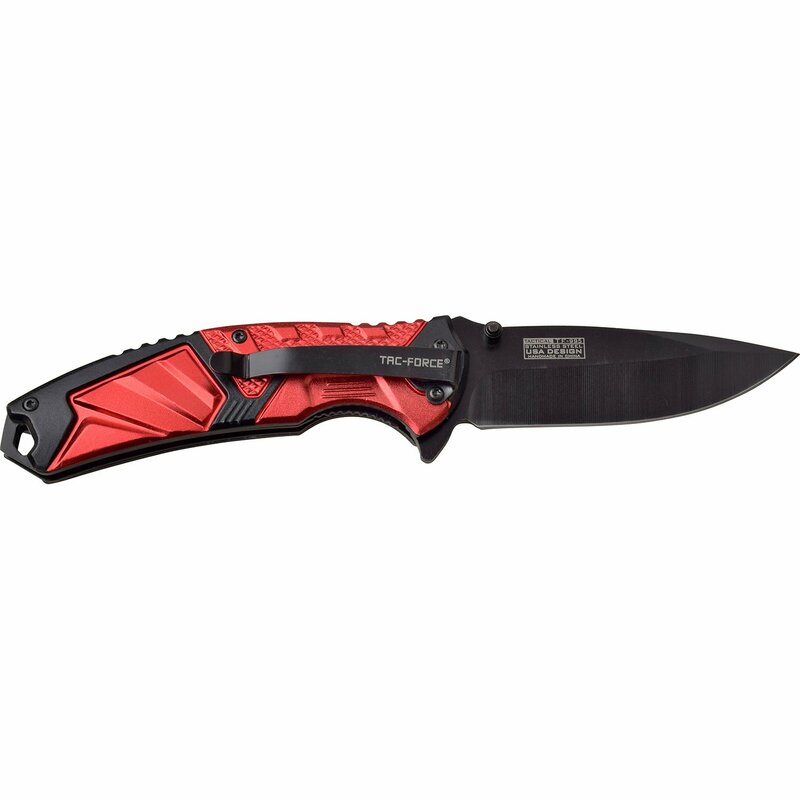 Our knives are sold by our customer at premium prices at their stores, knife or gun shows and flea markets across the united states. 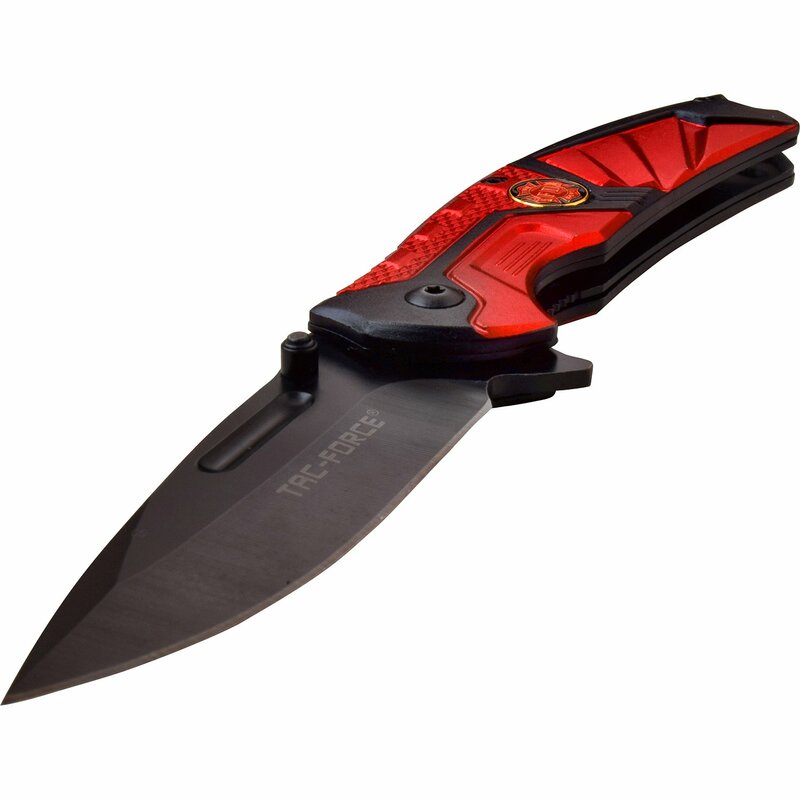 This best fire department / fire fighter knife is 8 inches open length with 3.5 inch legal 3cr13 blade length. 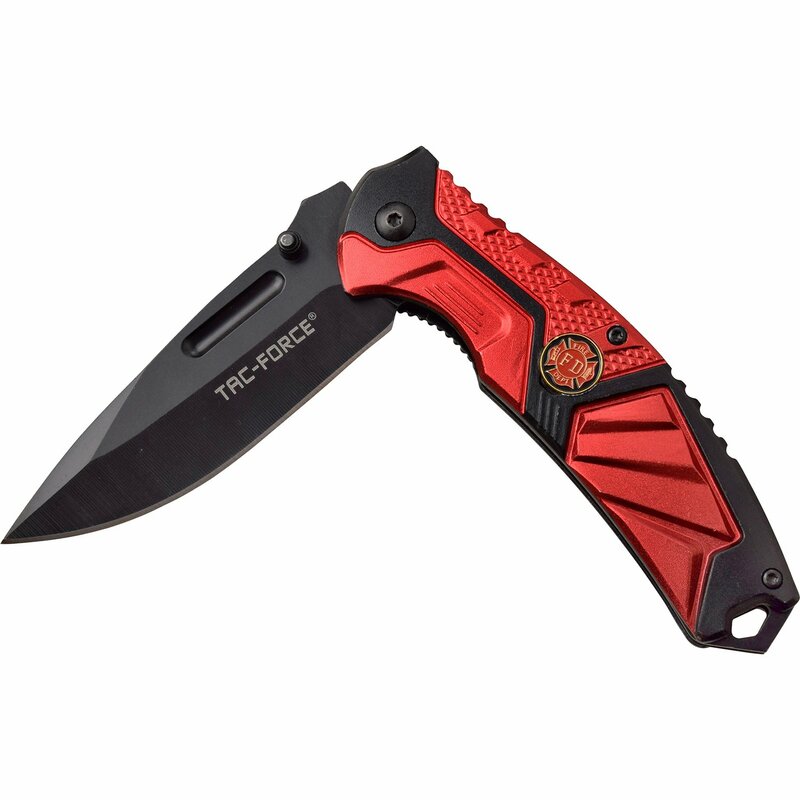 The anodized aluminum handle is 4.5 inches long with fire department medallion.